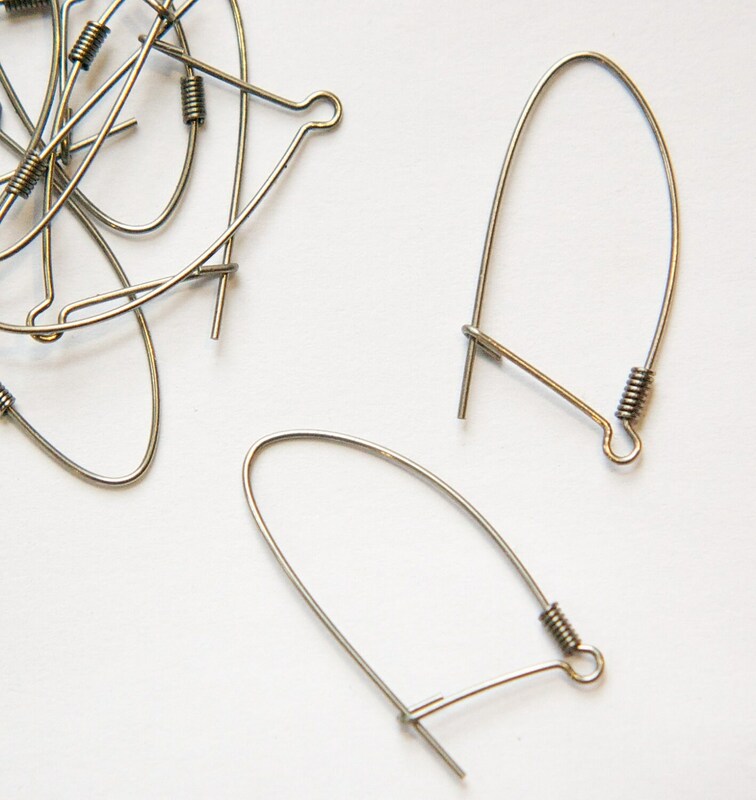 These are vintage, from the 1980's, kidney ear wires. They measure 34mm long X 15mm wide or 1 3/8" long. You will receive 12 pieces/6 pair. These shipped superfast and will serve us really well without breaking the hypoallergenic bank. Thank you Beth, As always, great service and fast shipping. Versatile, unique pieces at a fair price. SUPER excited to have found these vintage earring findings. I strive to use new/old stock in alot of my pieces, and these are all perfect for what I am planning to create! Thank you so much for the fast shipping!! Wonderful vintage style. Thank you so much.